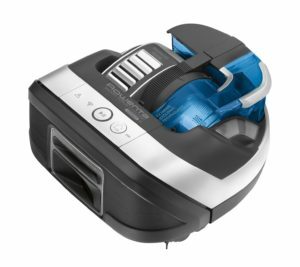 Rowenta Smart Force Cyclonic Connect. The Home Cleaning Observatory has been commissioned by Rowenta to Doxa to investigate the relationship between Italians and the household cleaning: the survey, conducted in May 2018, involved a sample of men and women (age range 25-64). The results of the research show that the floor cleaning (76%) and washing (60%) are among the most frequent cleaning activities. The 83% of Italians are not totally satisfied with their floor cleaning tools and almost all of the sample (92%) would like to come home at the end of the day and find it cleaner. 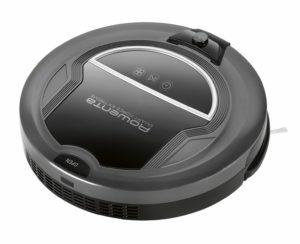 Besides, one in five Italians (19%) already owns a robot vacuum cleaner and 60% intend to buy one. “Italians attribute to their home an increasing importance, both because of the tendency of the society towards a more intimate and personal dimension, and because of the need for warmth and protection that the house naturally evokes as opposed to an often difficult, chaotic, invasive world – commented Massimo Sumberesi of Doxa -. It derives an almost spasmodic attention to the hygiene of the domestic environment and a strong investment (physical and emotional) on these aspects, which pushes an increasing number of people to look with interest at the opportunities that the new technologies offer also in the field of the home cleaning. The robotic vacuum cleaners are already present in many Italian homes, in the near future the spread of this innovative device will increase”. To meet the needs of the consumers, Rowenta has created the new series of Smart Force robotic vacuum cleaners. The line includes Smart Force Cyclonic Connect, the top of the range product equipped with cyclonic technology and with D-shaped that allows to reach the dust even in the corners. Thanks to the advanced functionality of smart navigation, the product is able to map the rooms and intercept the dirt everywhere, while avoiding obstacles and furniture. Furthermore, it can be controlled either at home or remotely via app. The range also includes Smart Force Extreme and Smart Force Essential, which guarantee optimal performance at a lower price. “We are pleased to present our innovative range of robot vacuum cleaners, specifically designed to meet the consumer cleaning needs. The robots are more and more a valid ally in the fight against dirt, to have a perfect home even when we have little time to take care of it as we would like – explained Rowenta -. This launch is part of our strategy of leadership consolidation in the home cleaning sector, where – with complete ranges of canister vacuum cleaners, classic sticks and innovative models such as cordless and bagless sticks – we have always distinguished as a brand that offers technologically advanced and functional solutions”.